In early November 2015 voestalpine’s new coke unloading plant was inaugurated in Leoben/Donawitz in Austria. 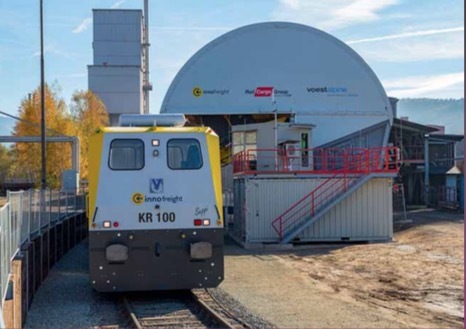 voestalpine, Innofreight and the Rail Cargo Group have jointly developed the loading system which will revolutionize raw material logistics at this site. The new unloading station allows for a 100% delivery of raw materials by rail. A central component is Vollert’s shunting robot KR 100, which pulls the loaded carts through the unloading station. The new plant technology will not only conserve resources and increase efficiency in Donawitz, but has also added value to the site and the region.